Testing the level of your language skills is available at the British Centre JU. The results of the tests will guide you in choosing your suitable language course as well as a suitable level of the internationally recognised Cambridge Examinations. The tests are fast and reliable and it is possible to compare the results from the previous tests. Repeating the test means receiving different tasks. A professional verbal evaluation of the test is included in the price. The tests are taken by hundreds of visitors every year and are highly appreciated. Available only at the premises of the British Centre. 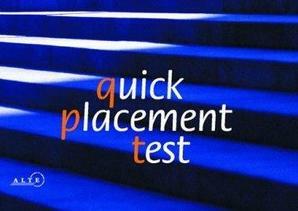 This tests grammar, vocabulary, reading comprehension and listening skills. Evaluation of the points you gain will enable us to advise you of the level of your English skills. At the same time it can also recommend a suitable level of the Cambridge Examinations for you. Length of the test - 30 min. Provides the possibility of testing your English at home with extended testing on grammar, vocabulary, reading comprehension and listening skills. Evaluation of points gained enables you to check the level of your language. It will also recommend the suitable levels of the Cambridge Examinations for you. Length of the test - 60 min. The fee can be paid in cash at the British Centre. Paying by a banking transfer is possible (the account number 104725778/0300, variable code 510, specific code 182031) but a document of payment is required. Then you will be given a password together with simple instruction. For buying more tests we provide an invoice. A Certification of Test Results with a signiture a British Centre stamp is available on request (only with this test).